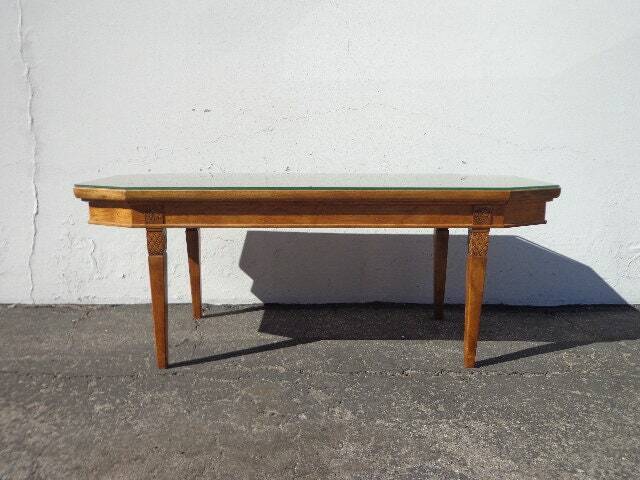 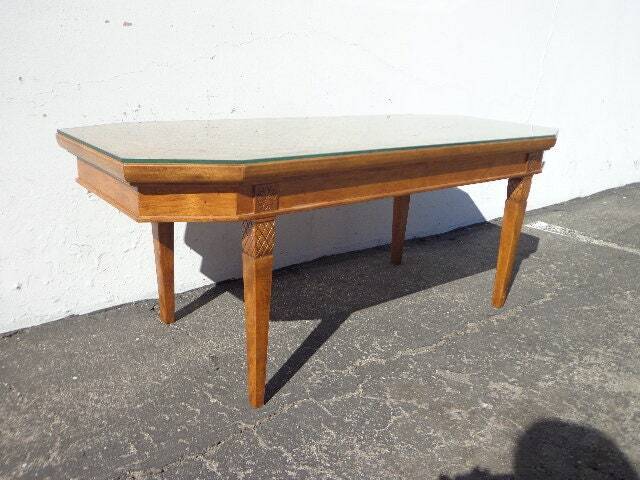 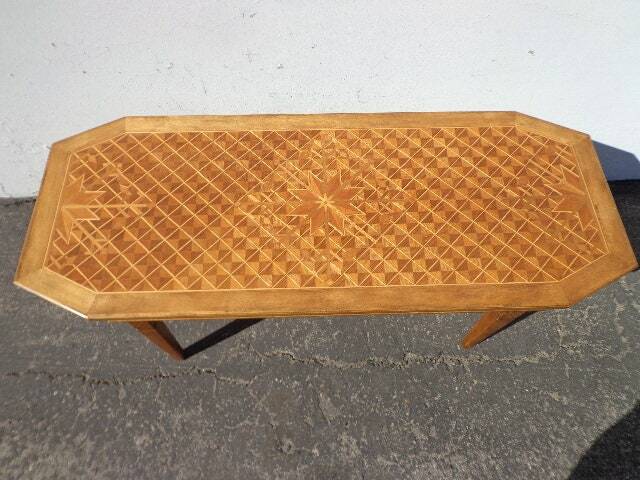 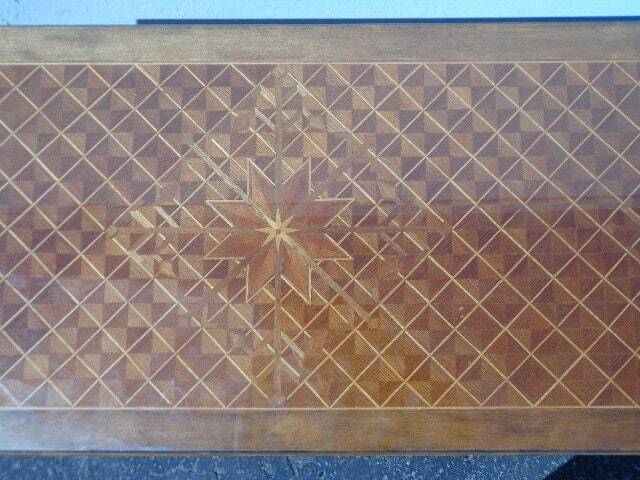 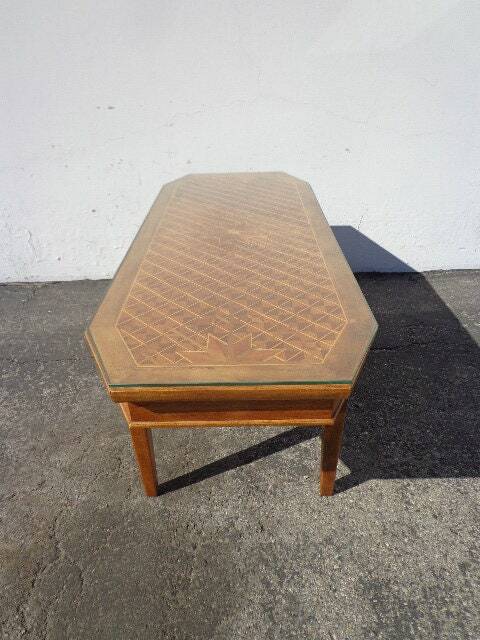 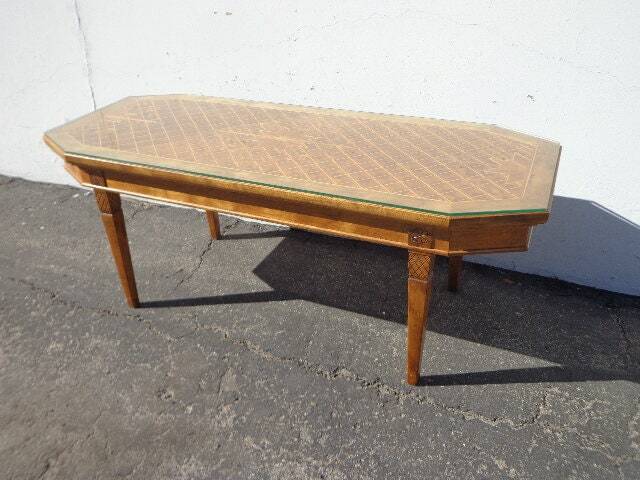 Beautiful antique coffee table with beautiful inlay wood. 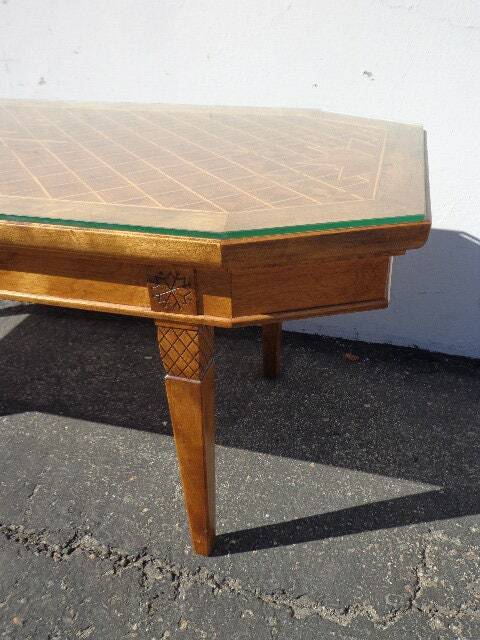 Perfect for any space and blend with many styles. 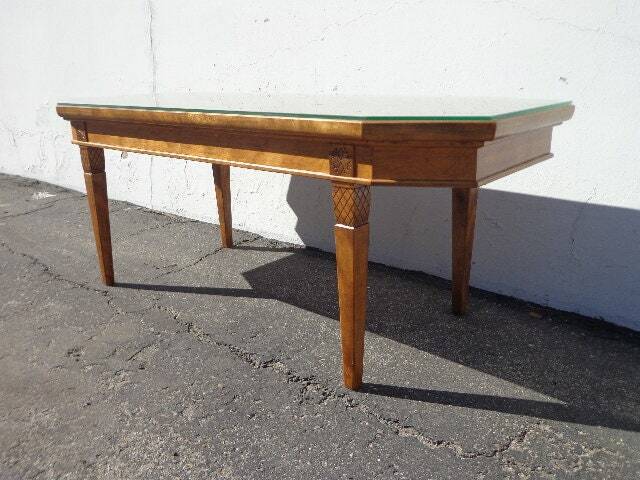 Features detailed trim and beautiful, colorful wood inlay design and a removable glass top. 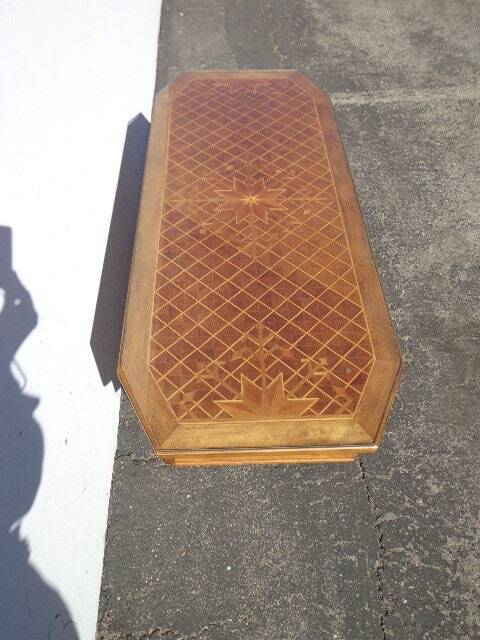 Overall good vintage condition, shows wear from use. 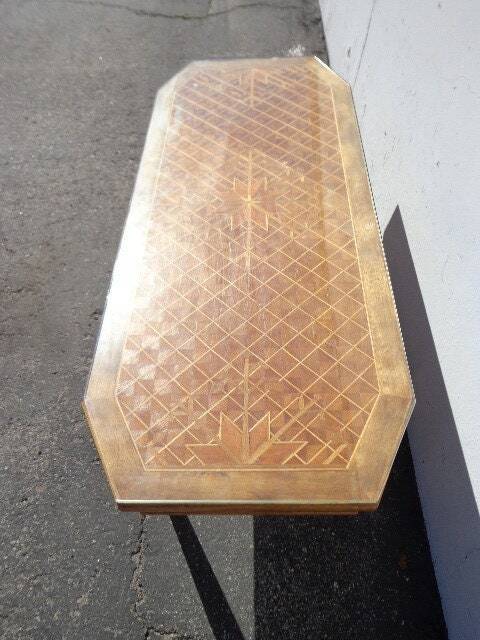 Dimensions: 47" x 19" x 18"